Democratic candidate for Lt. Gov. 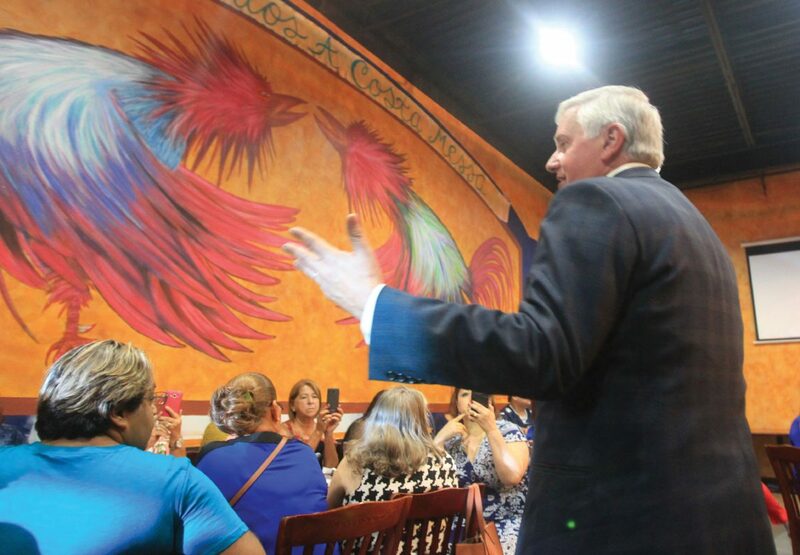 Mike Collier speaks to supporters during a rally stop Thursday, Aug. 9, 2018, in McAllen. McALLEN — The small but spirited side room of supporters at Costa Messa this week welcomed the unlikely next lieutenant governor of Texas. 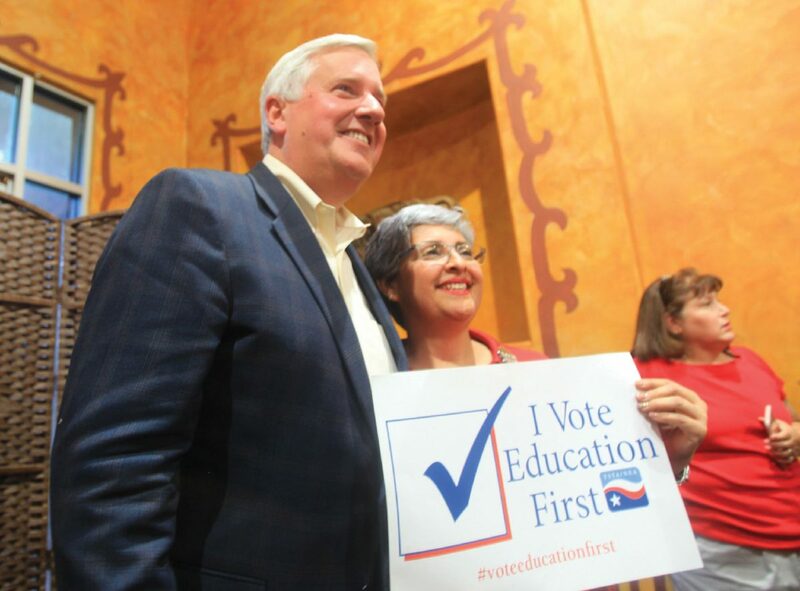 Polls have Mike Collier, the Democrat running to unseat cash-strapped and widely-known Lt. Gov. Dan Patrick, behind by as close as a couple points and as far back as the mid-teens. Don’t tell Collier his odds are long, as he travels the state and deploys “mean and lean” digital strategies. Collier, an accountant by trade who’s made several trips to the Rio Grande Valley in the last year, said he hopes to capitalize on how “incredibly unlikable” Patrick is, how he has no regard for health care, veterans and public education. Democratic candidate for Lt. Gov. Mike Collier discusses his platform with supporters during a rally stop Thursday, Aug. 9, 2018, in McAllen. A supporter takes a photo with Democratic candidate for Lt. Gov. 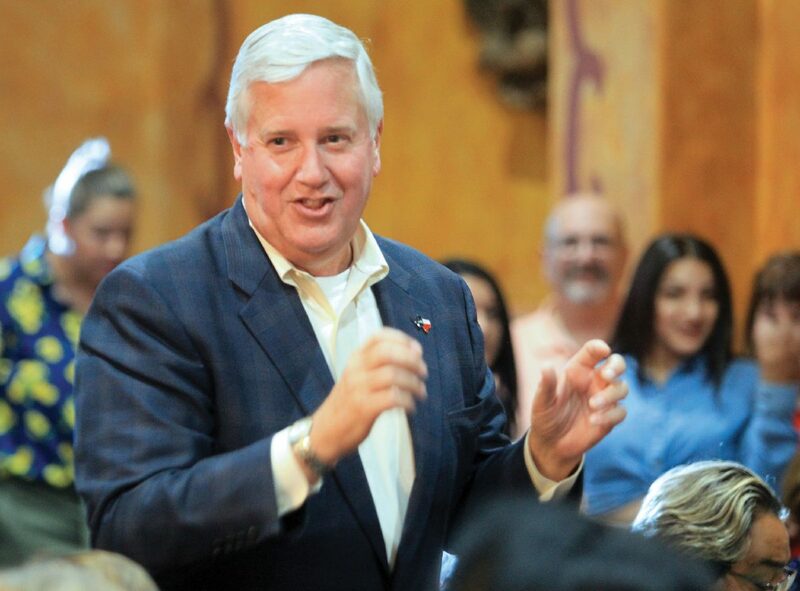 Mike Collier during a rally stop Thursday, Aug. 9, 2018, in McAllen. When Collier asked the full side room at the Costa Messa on North 10th Street this week how many people were teachers, more than half of the hands in the room shot up. Rosemary Miranda, 76, was one. She’s a retired librarian and couldn’t believe Patrick’s statewide priorities. James Whiddon was a 53-year-old Army veteran from Edinburg who supported Collier. “Either you’re for Satan, or you’re against Satan,” Whiddon said of Patrick. Patrick, however, has no intention of defending his views. His campaign announced in July that, despite offers from Collier, Patrick will not participate in a debate leading up to November’s election. Collier also said he wants to keep property taxes down, which he said the conservative leadership in Texas have only increased. But can Collier overcome Patrick’s millions of dollars and wide name recognition? Not to mention, his race is not getting much attention as Beto O’Rourke has been the main Democratic attraction in this election cycle. Jones said most candidates inevitably know when they’re going to lose. But Collier didn’t say as much. Jones said Collier’s enthusiasm and campaigning is a positive for the party, despite his unlikely chances.